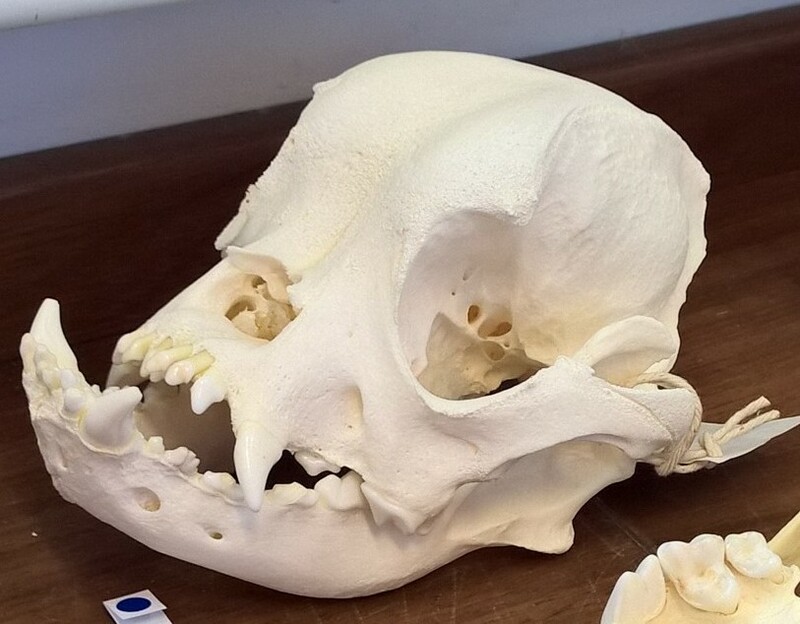 English bulldog skull from the Historic England reference collection. Photographed during on of the Professional Zooarchaeology group meetings. Note the massive underbite giving the bulldog its characteristic expression.